Well, here I am in the second month of experimenting with this wondrous herb. It isn’t easy trying to find the right mixture of THC to CBD that fits me! Medical marijuana is not to be considered as one size fits all. In fact, I am not sure I have the right times of day with the right amounts of each of the ingredients completely suited to me even now after two months. It has been trial and error. But I have been aided by my family physician and the very well informed members of the National Access Cannabis clinic. The choices are mine and it involves reading, understanding and recording how each process is helping (or not). 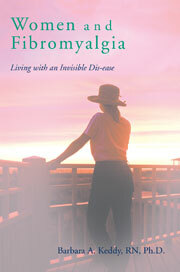 It is winter, cold and depressing as I struggle with hip and back pains combined with fibromyalgia and sleep issues. My brain seems frozen in this ice block. This entry was posted in Fibromyalgia, National Access Cannabis, safety of medical marijuana, THC and CBD, topical cannabis cream on January 16, 2017 by Barbara Keddy.